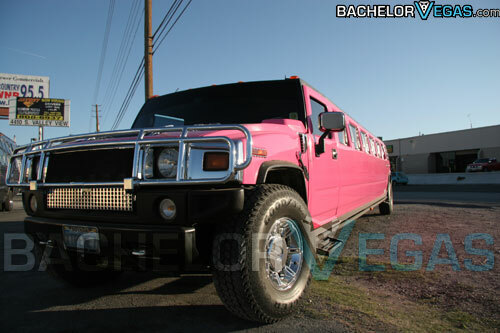 Our H2 is what every girl dreams of when she thinks of luxury transportation. 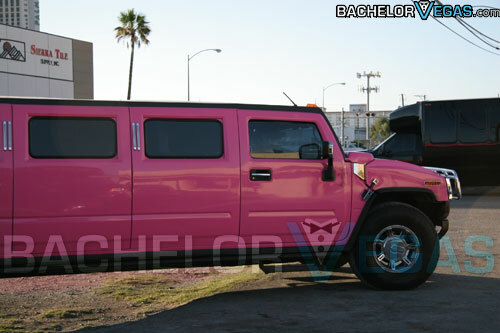 Treat that special lady in your life to a hot pink Hummer limousine equipped with all the essentials. From bachelorette and birthday parties to girl's night out and wedding parties, our H2 is sure to enhance any celebration. 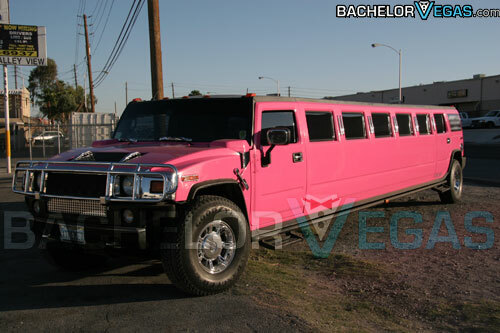 Our Hummer is available 24/7 and is able to accommodate up to 20 ladies. Rates are set via hourly, daily, or upon request of a Strip tour. We'll also stock the vehicle's bar for you upon request. 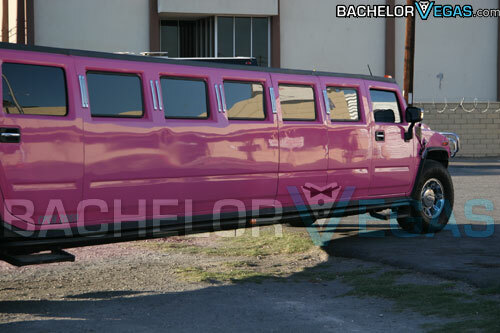 This one-of-a-kind vehicle is specifically designed for the ladies, and is exclusively used by ladies. Drive down the busy streets of Las Vegas making memories in the spacious passenger compartment of a head-turning, vibrant limo. 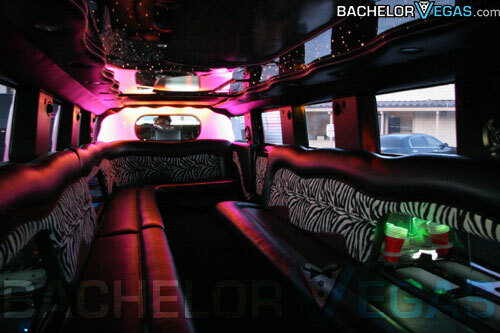 Whether you're looking to hit up the local nightclubs, see a male revenue show, or just experience the many sights of Vegas, trust Bachelor Vegas to put you in the passenger seat of one of the hottest luxury vehicles in the city. 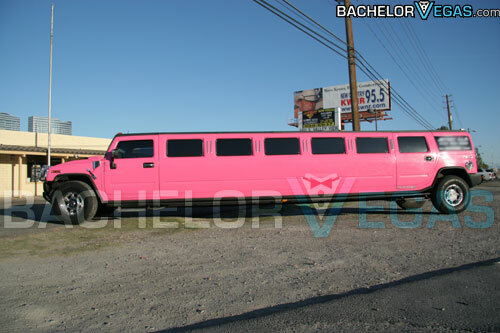 Our pink limo can also be booked with one of our club hopping packages. If you're looking to differentiate yourself from the masses during your next big event, renting a pink Hummer is sure to do the trick. It has everything you and your group of girlfriends will need for an exciting night of fun and entertainment, including a premium stereo system, CD/DVD player, TV, bar, and more. The interior is spacious and features comfortable, plush seating and plenty of leg room for all your friends. 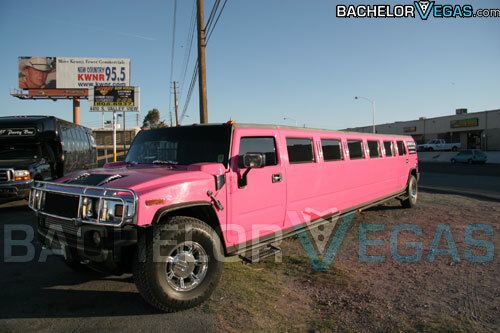 The outside of the vehicle is of course pink, but also has the classic Hummer look. No matter your planned destination, have our experienced and friendly limo chauffeur drive you and your guests anywhere you'd like in the Las Vegas area. 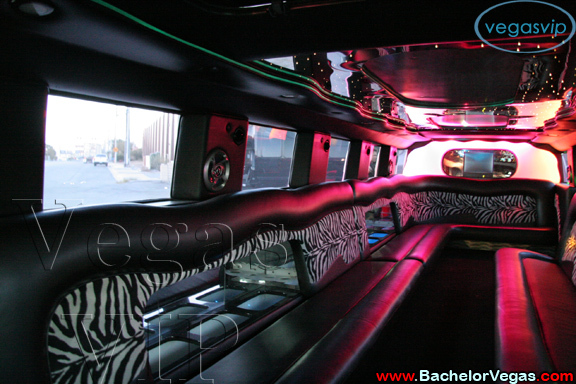 Depending on your desired hours, the limousine will be at your disposal for all of your transportation needs. 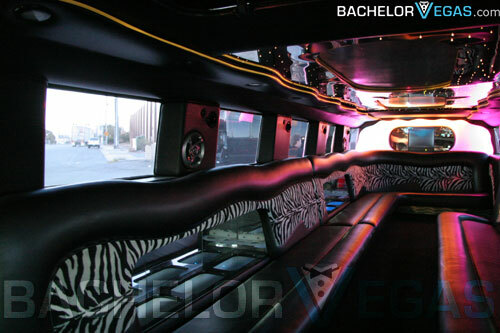 Rent our limo to bring you and your female wedding party to the marriage ceremony, or grab your girls and head to a local casino to try your luck at the slot machines. It is also the ideal form of transportation for getting home after a long night of boozing, no designated driver needed. 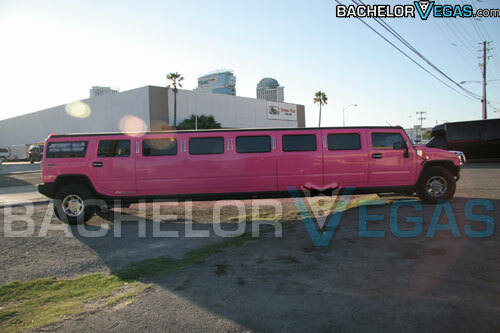 Forget what you know about limos, because our Las Vegas pink Hummer limo is in a class all its own. The fashion-forward design and contemporary Hummer style blends to provide women of all ages with an incredible luxury vehicle that can make any occasion more fun. Our vehicles are pristine, our drivers well-trained, and our rates are affordable. What else could you ask for in a luxury vehicle rental? Skip the car rentals and taxi cabs, and try a new mode of transportation during your next visit to Las Vegas. 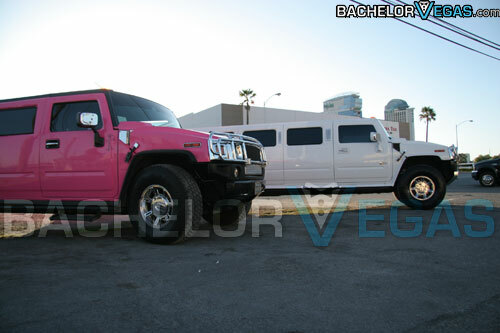 At Bachelor Vegas, we offer more than just Hummer limousine rentals – we offer unforgettable experiences and a touch of luxury. It is an excellent way to celebrate proms, graduations, birthdays, marriages, quinceaneras, or much-needed nights out on the town with your best girlfriends. With everything you need within reach, your trip through Las Vegas is bound to be stress-free and exciting. 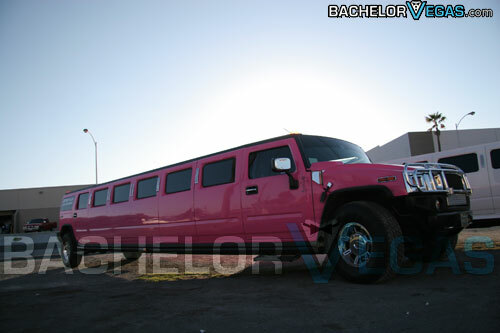 If your group of ladies is interested in our pink limo, be sure to check out our associated VIP packages to help you save money. Our VIP packages include great features, such as a tour of the Vegas Strip, a welcome sign photo stop, VIP access to a men's show, VIP entry to local nightclubs and strip clubs, girl's night out dinner, and more. 5.0 on Apr 4, review by April M.
5.0 on Dec 4, review by Melissa K.
5.0 on Aug 2, review by Jessica L.
I booked it for my friend's bachelorette party, without it our night out wouldn't be as much fun, limo driver was our b...., of course we sneaked in lots of alcohol our own, we forgot to arrange a male dancer, that was the only thing missing! 5.0 on Mar 5, review by Rhianna P.